Oats are a cool-weather crop that can tolerate light frosts but is usually killed by temperatures below-15C (5F). None generally needed, especially when oats are grown with nitrogen-fixing green manures such as winter peas, winter beans or hairy vetch. Winter Peas and Winter Field Beans. Sow in late summer to grow as a green manure that forms its own mulch when it is winterkilled, or when using oats as a companion crop for slower-growing legumes. Oats also can be grown as a spring green manure to increase soil organic matter. Broadcast seed into cultivated soil so that the seeds are about 7 cm (3in) apart and 1 cm (1/2in) deep. No thinning is required. Increase spacing to 20cm (8in) apart when growing oats with other green manures. Oats are an ideal late summer green manure if your winters are cold enough to kill it; the dead residue forms its own winter mulch, which is usually well rotted by spring. Young oats can be turned under anytime. 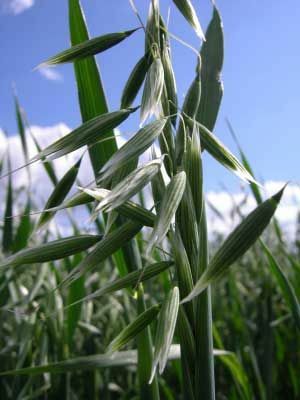 In mild winter climates, oats should be mowed and tilled before seedheads appear in late spring. Rotting oat foliage has herbicidal properties, in that it inhibits germination of weed seeds. Always wait 3 weeks before sowing seeds into soil where oats have been turned under.